In 1877 he left Missouri to seek a high school education, a goal he accomplished in the 1880s after years of traveling and subsisting on odd jobs. He entered Simpson College in Indianola, Iowa, in 1890 and transferred the following year to Iowa State Agricultural College in Ames; he received a master’s of science degree in 1896. As a graduate student, he was appointed to the agricultural experiment station where he collected fungi and identified several new species, which were named for him. Carver became director of the agriculture department at Tuskegee Institute in Alabama in 1897. He devoted much of his time to research aimed at helping southern farmers, especially black sharecroppers, who were facing a crisis—years of cotton cultivation had depleted and eroded the soil. Carver spent years studying soil chemistry and crop rotation and directing an experimental farm. In 1914 he made his results public and urged the introduction of peanuts, soybeans, and sweet potatoes to vary the nutrients delivered to and removed from the soil. With innovative laboratory research, he developed hundreds of new uses for these products, including foods, inks, dyes, plastics, soaps, oils, cosmetics, and glues. 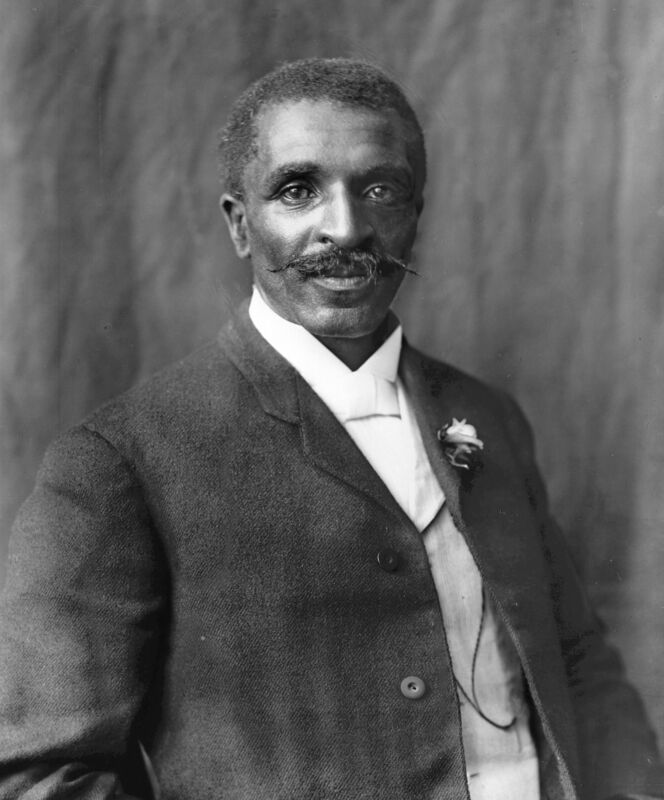 Carver received numerous awards in the early 1900s for his contributions to agriculture and for his lectures aimed at increasing interracial respect. In 1921 he spoke before the United States House Ways and Means Committee, and his expert agricultural testimony led to the institution of a tariff to protect U.S. peanut crops from foreign competition. In 1940 he donated his life’s savings to help establish a new agricultural research foundation at Tuskegee. He died in Alabama on January 5, 1943. Carver’s experimental, educational, and political work revolutionized agriculture and revitalized the economy of the southern United States in the early twentieth century. The introduction of new crops to the South improved many people’s lives. In Carver’s time, agriculture was the single largest occupation in the United States, and many farmers in the South relied almost exclusively on cotton cultivation. The success of peanuts, sweet potatoes, and soybeans liberated farmers from their dependence on cotton. The development of the peanut as a major cash crop boosted the economy of the South. When Carver arrived in Alabama in 1896, the peanut was not even recognized as a crop. Over the next 50 years, the peanut became one of the six largest crops in the United States and the second­ largest crop in the South. Five million acres of peanut cropland were allotted to farmers by the government in 1942. Carver’s outreach programs helped uneducated farmers gain an advantage. He encouraged improved farming methods and instituted practices of soil conservation and crop diversification. The institute Carver helped found at Tuskegee continues to contribute to the development of innovations in agriculture today. Basic tenets of scientific agricultural practice, which persist in modern times, were established by Carver’s pioneering efforts. Crop rotation is a widely recognized method of maintaining healthy soil­ nutrient balance and avoiding erosion. The development of varied uses for agricultural products is also an ongoing practice. In addition to his scientific contributions, Carver’s journey from his beginnings in slavery to his status as an internationally renowned scientific expert has made him a hero in the history of the United States.